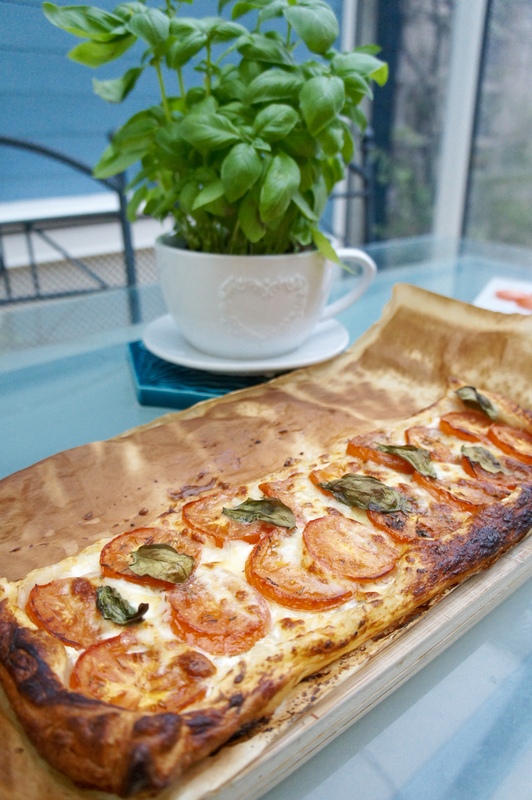 Taking a little break from Honeymoon posts to bring you another delicious puff pastry dish, this time, the savoury kind! 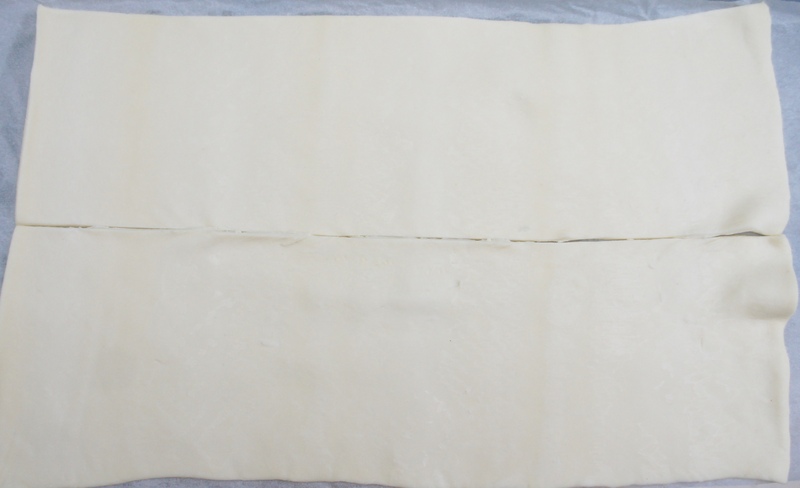 First, preheat your oven to 200°C/392°F and remove your ready-to-roll pastry from it’s box, don’t open it out fully until it’s been sitting out of the fridge for at least 10mins, otherwise it’ll crack as you unroll it. 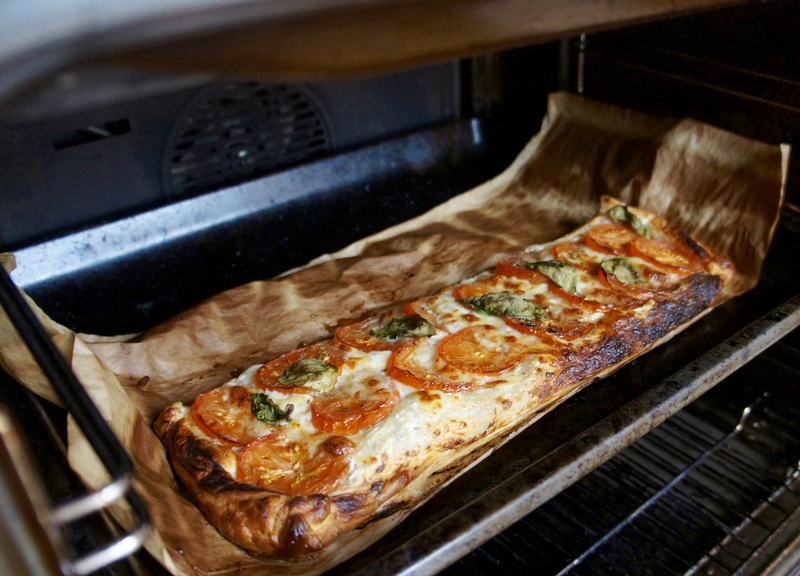 Lay them on a baking tray, drizzle with olive oil and bung in the oven for 10mins. 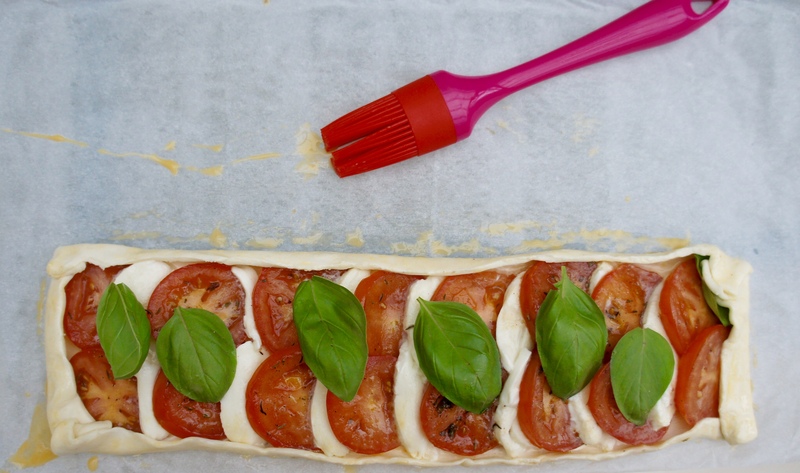 This gets rid of some of the moisture so that your plump tomatoes don’t drown your pastry – which causes the pastry to have soggy bottom issues! And I think we can all agree, no one wants a soggy bottom! 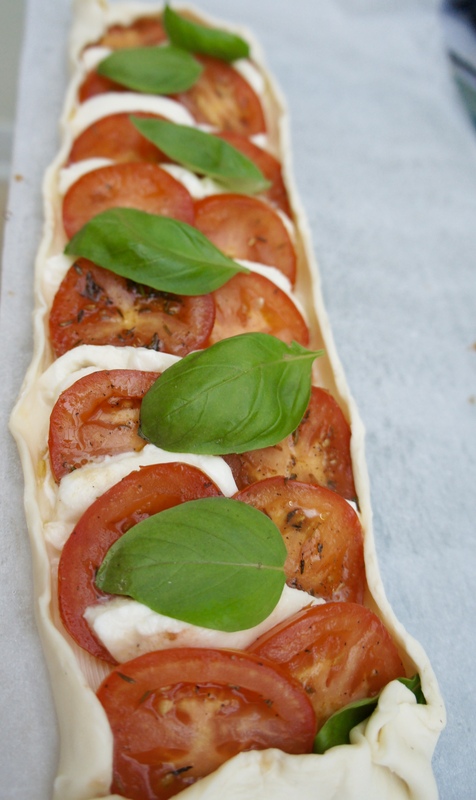 As the tomatoes cook, slice your mozzarella and roll out your pastry. 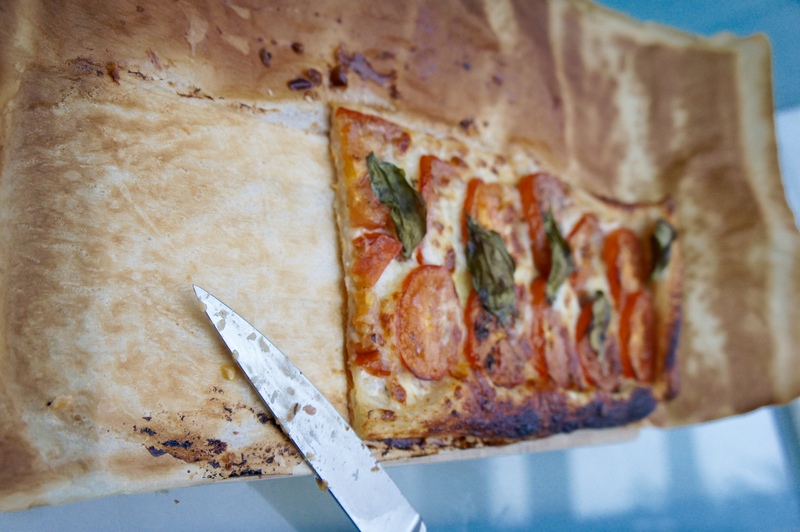 I was making this for just the two of us one evening, so I cut the pastry in half, rolled up the spare and put it back into the fridge for another time. 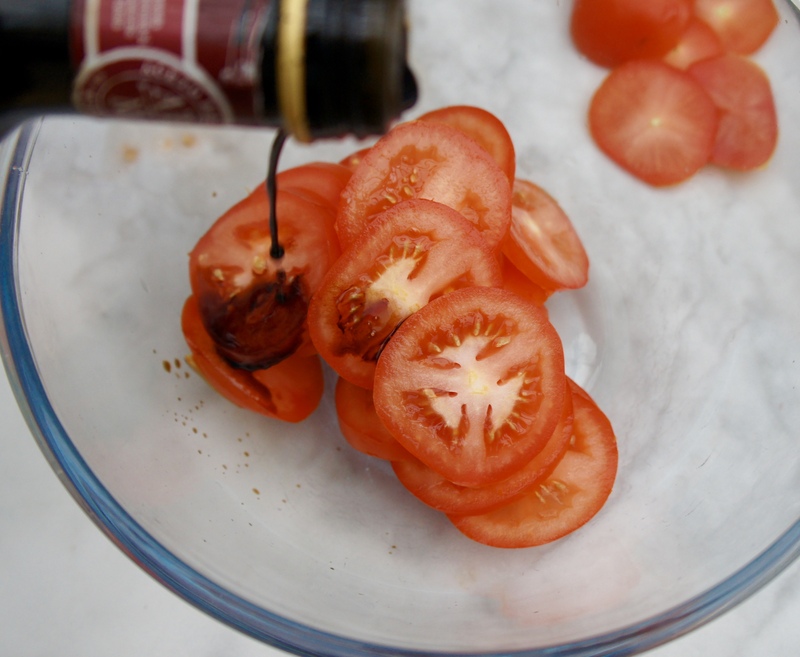 Take your tomatoes out of the oven and shake the excess moisture off. 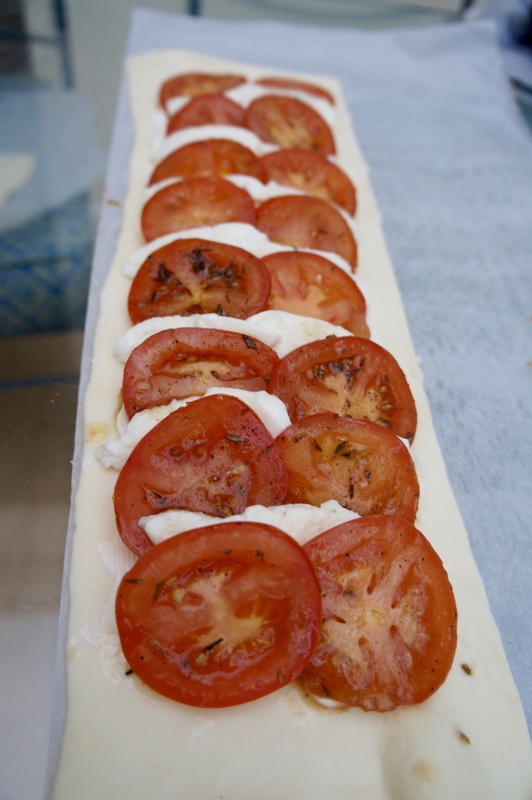 Now you need to move quickly, which is why it’s best to have the mozzarella pre sliced! Now get layering! 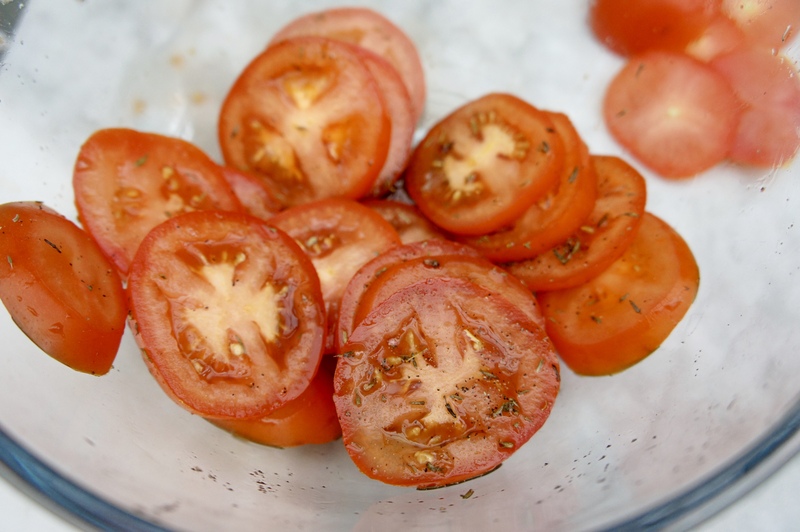 I did two abreast, which is pushing it, as it didn’t give me much room around the edge and you’d really be better off with about an inch the whole way round, so perhaps, overlapping the tomatoes more would be a good idea if you’re giving this a go! 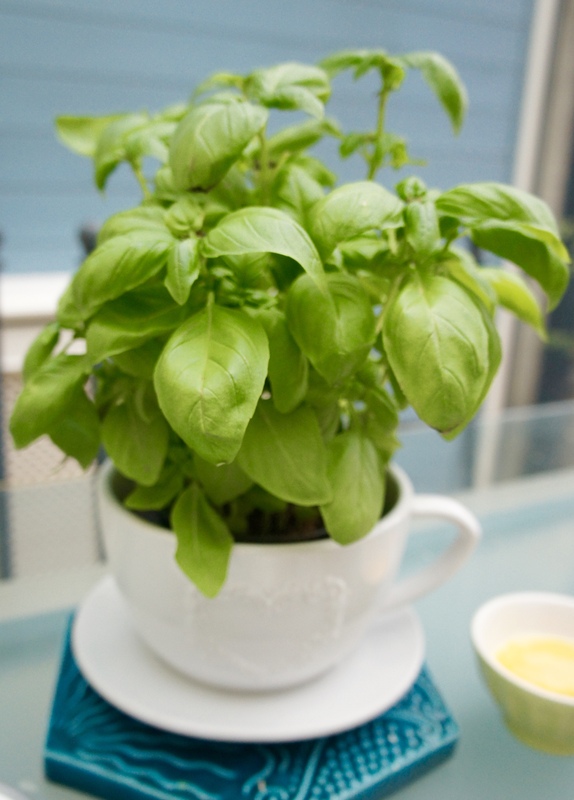 Top off with a few basil leaves – love the smell of basil mmmm! Pop into your preheated oven for 15-20mins, longer if you’ve used the full pastry in the packet and not half of it like me! It is SO yum…if I do say so myself! A truly scrumptious side, or a meal in itself. 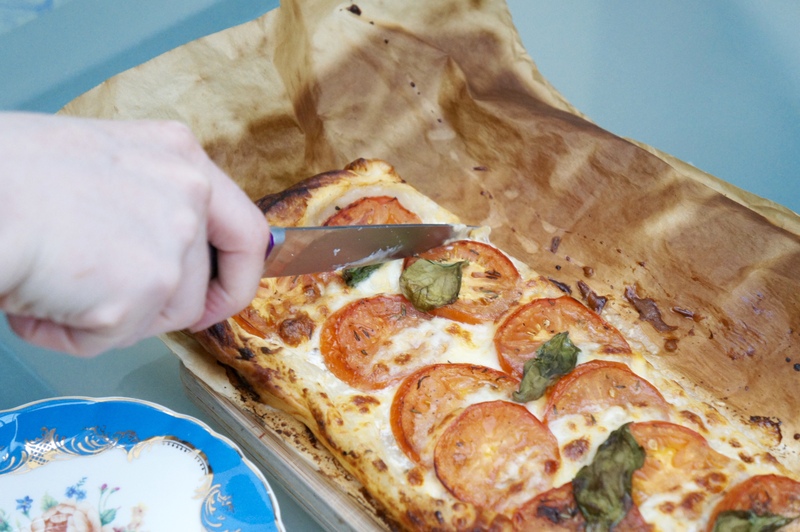 But be quick, it won’t last long as when this dish is around, people do tend to love sneaky seconds…! Yum! That looks absolutely delicious! Thanks Jennie, it really was!! This looks divine! 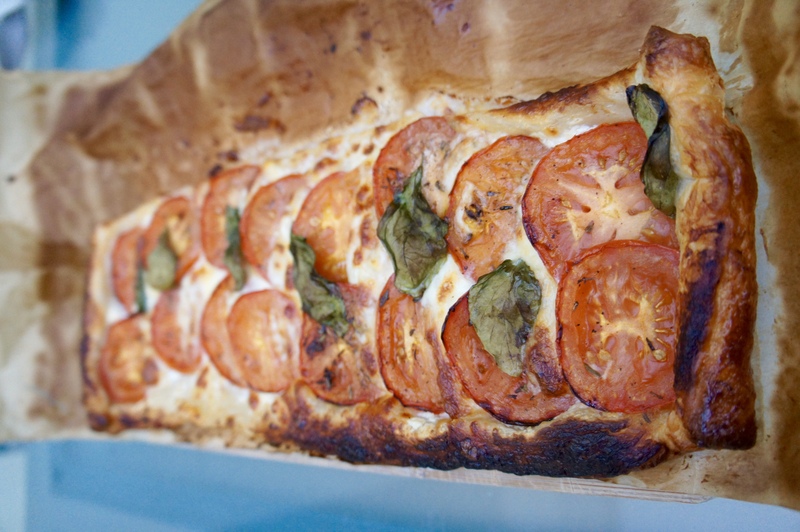 I love the combination of tomato and basil sooooo much! I am absolutely obsessed with savory snacks now, this recipe is calling to me. 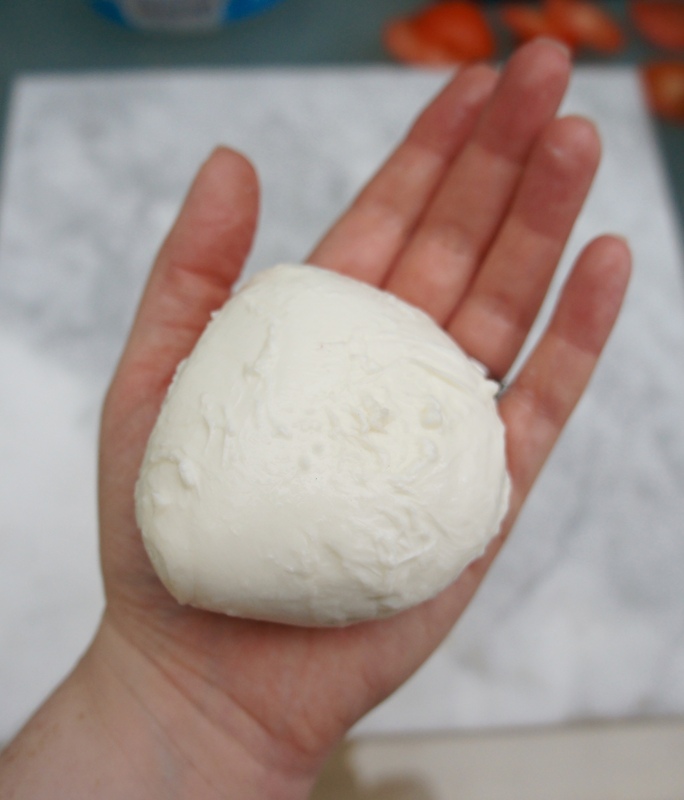 I love a good tomato basil mozzerella!! It calls to me too Joyce….daily!! Haha!! Oh Yum ! 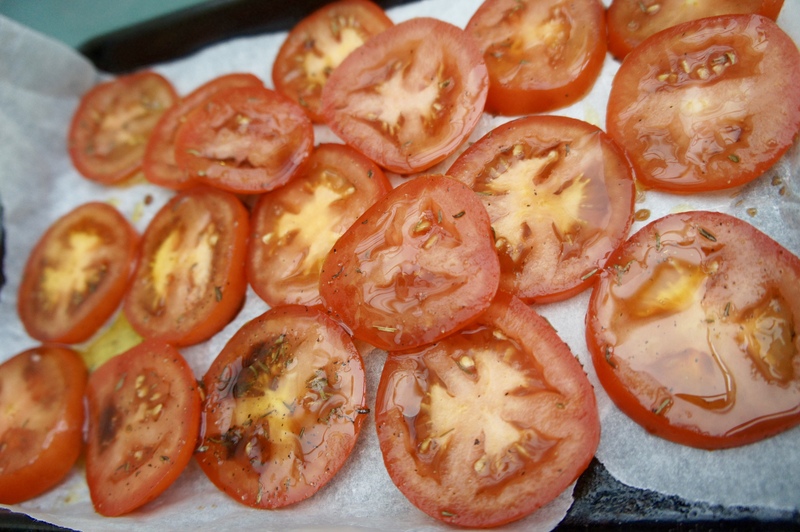 It’s the time of the year I still have really fresh and ripe tomatoes, more than I can really eat ! This will be perfect to make and such a delish snack that will sure be gone in seconds !!! Uh, YUM. This looks so good, and I can’t believe how easy you made it look. With my luck, though, I’ll destroy it–any attempts to bake something off the internet turn nasty fast for me! This looks so delicious!!! I’m definitely trying this recipe soon! It looks so delicious and extremely simple! Gotta try this out. This looks so great. Certainly something I’d love to try out. Ooo this looks delicious! I really want to try some more baking so I may just have to start with this! This looks delicious! 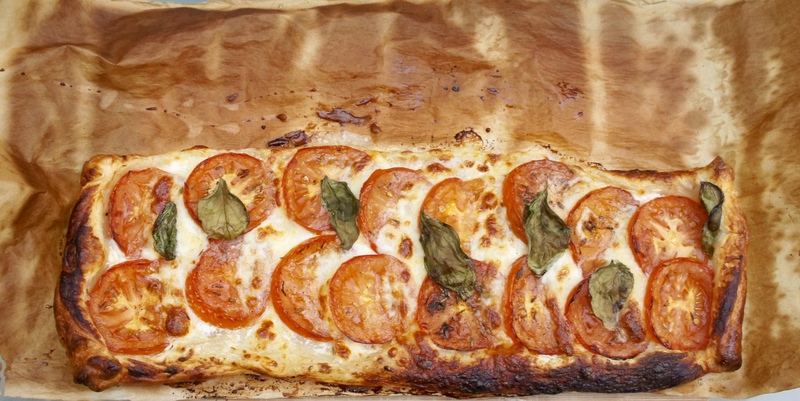 It’s like the pizza version of a tart! Oh my goodness that looks so good! 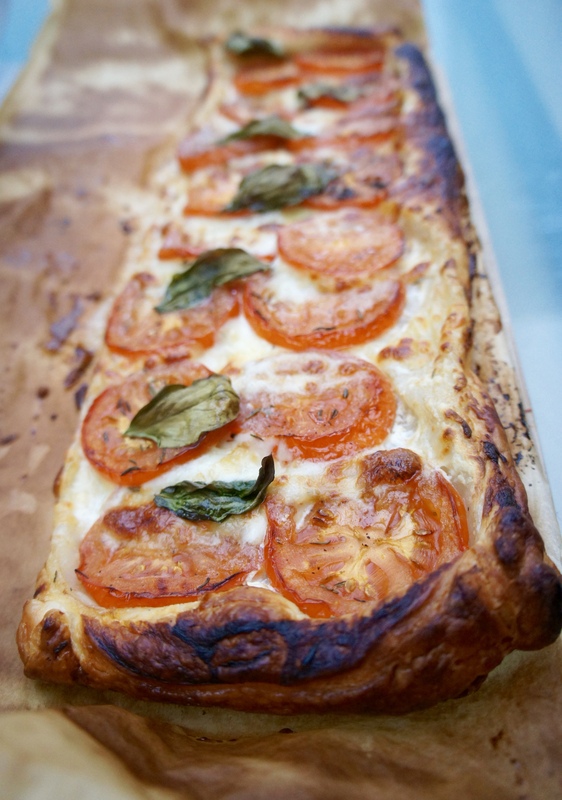 I love melted oozy mozzarella and basil – such a winning combo!